This book is good! 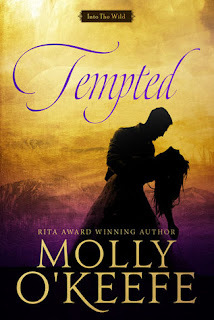 I don’t know why I’m so surprised since everything Molly O’Keefe writes is magic, but I don’t like westerns, so I didn’t expect to love this one so much or, to be honest, to even read it. But I bought it on release day to support a favorite author, took a look at the first page, and didn’t put it down until I finished it. Steven Baywood is trying to rebuild his shattered life, even though the ghosts of his harrowing stay in Andersonville prison still haunt him. He craves Annie and her quiet strength, but he can't give her the love she deserves. When a tragedy changes everything for Annie, can Steven find peace with his past in order to give Annie a future? I really liked all three Travis books, but I was never invested in a potential Joe story, because I always got the impression that Ms. Kleypas had no interest in writing it. That didn’t stop me from being really excited when the new book was announced, however. In fact, I was so excited that I was honestly taken by surprise by how half-assed and under-baked this book felt and by how poorly it fits a series that was filled with larger-than-life characters and delicious angst. Avery, our heroine, is very good at her job as a wedding planner, but emotionally scarred by an irresponsible, philandering father and a failed relationship with her ex. At a wedding where she’s busy doing her job, she meets hunky, yet tender Joe Travis. He pesters her throughout until they have what she believes (and wishes) to be a one-night stand. But Joe, whose main character trait is knowing best, decides that he wants her and proceeds to spend half the book relentlessly and inexplicably pursuing her. She gives in, he introduces her to his family, she’s super insecure so there are a lot of mixed signals indecision on her part, and… I didn’t read the last 15% of the book, but I bet something external happens to make her realize that what she really wants and needs is Joe. I know this because the previous book had a romantic conflict that resolved itself by a shoehorned external circumstance instead of actual communication, so why expect something different here? Also, the event that forces Avery’s hand is set up early on in the book. I put an exclamation mark there to convey a cheerful mood so it doesn’t look like I’m closing up shop, but I am making a couple of changes to the blog, the first one being that I’m back, kind of. But I don’t want to deal with the pressure of writing the more traditional reviews, so I’ll be posting more round-up posts and reviews that don’t follow such a structured format. Or maybe it will all remain the same. All I know is that I really want to blog again, but I didn’t want to just post a random, surprise review tomorrow after months of silence, so hence this mini-post to give you the heads-up that I am, in fact, back. Kind of.